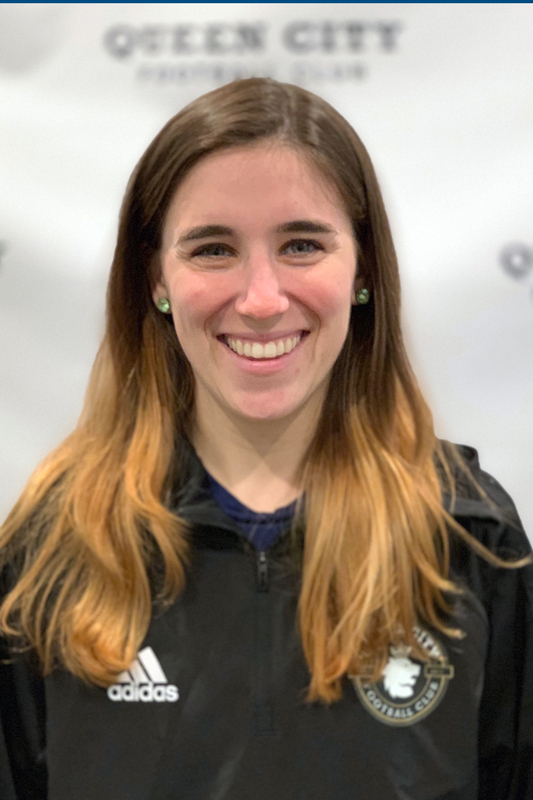 A native of Abington, MA out of Notre Dame Academy, Abby Rajotte rejoined the Queen City FC staff after some time back home in Massachusetts working with South Shore United. While with South Shore United, Abby worked as the Club's Marketing Coordinator. In addition, she also worked with SSU's Tots Program, and U10 and U12 age groups. With Queen City FC, she has served a similar role over a three year period. Abby's coaching knowledge stemmed from a great playing career in the high school and collegiate ranks. Abby was a starter for the NCAA Division II Saint Michael's College Purple Knights beginning in her sophomore year. In all, she made 24 career starts from the midfield. Prior to Saint Michael's, she attended Notre Dame Academy in Massachusetts where she played four years of soccer and basketball. Abby has licensure through the United States Soccer Federation pathway having acquired both the USSF D and E Licenses.